I have tried countless product advertisement recipes found in magazines over the years and most have failed to meet my expectations. The taste ends up focusing too much on the ingredient being sold and too little on the taste of the overall recipe. I was surprised to find two recipes for McCormick in a recent issue of Bon Appetit magazine and decided to give them a try. 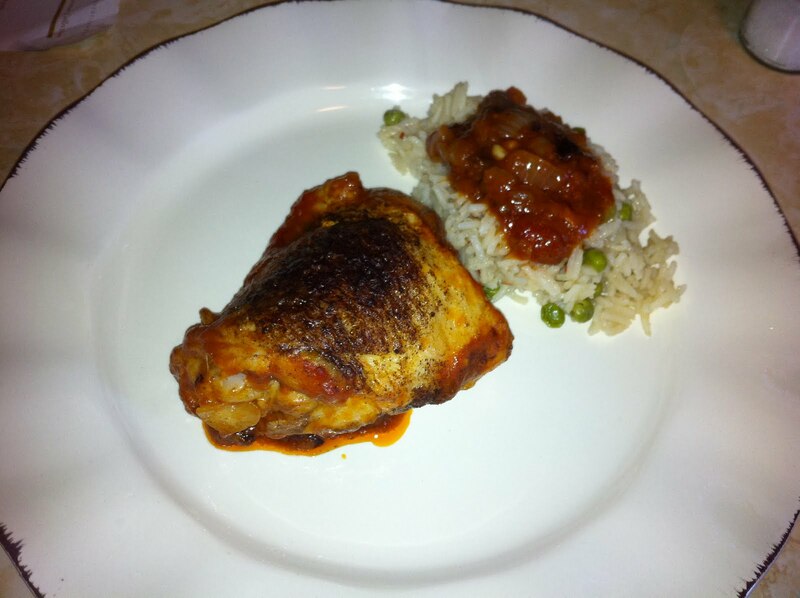 These two recipes use the new line of McCormick roasted spices, which were easily found at my local grocery store. They come with a bright yellow plastic seal that is easily recognizable on the spice shelf. All the ingredients involved in these recipes are easy to find, including multiple types of basmati rice available in my local Kroger. The prep time for these recipes was slightly more than the suggested 15 minutes, but no more than 5-10 minutes. Overall, the cooking and prep was simple and the dishes turned out better than expected. My family really enjoyed these dishes. Both of my children ate the chicken contently and my husband loved the sauce around the chicken (he mixed the sauce and rice to make a wrap using lavash bread). I thought the rice had a great taste and I would definitely use the chicken recipe again (note: it was even better the next day). For the recipe go to McCormick Cinnamon-Stewed Chicken with Spicy Roasted Coriander Rice. Thanks for stopping by my blog and leaving me a sweet comment. I'm following you back. Following you back with thanks! Oh wow! That looks absolutely delicious! Following you from the “Finding New Friends Weekend” Blog hop! Please follow back! Yum!!! Thanks for sharing all these wonderful recipes. Thanks for being one of my awesome followers.